Likes full sun, needs very little water. I only water this one when I see the sides wrinkling. This was grown from seed that was harvested in western Texas. 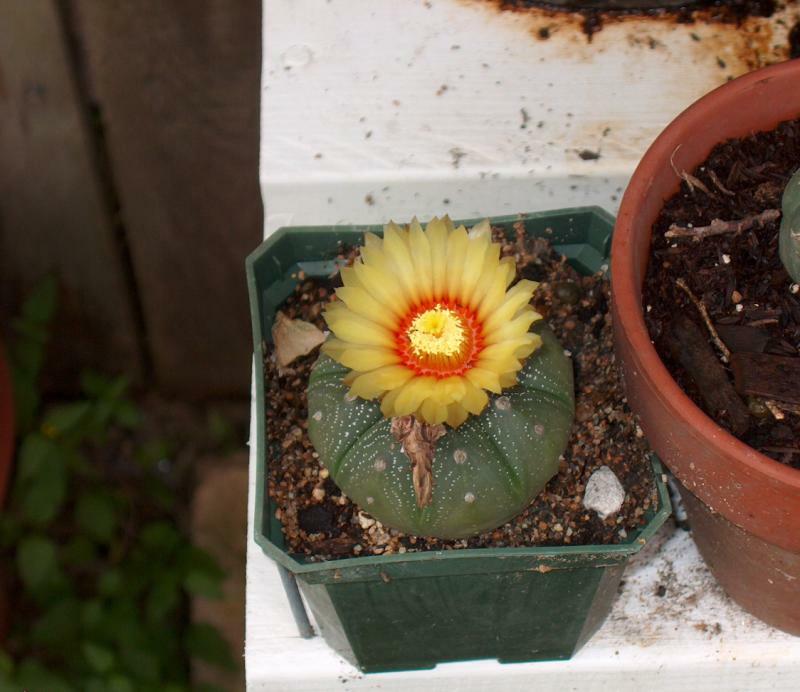 To the untrained eye it looks like a peyote cactus because it evolved in similar conditions. The biggest one I've ever seen was about 6 inches (15 cm) across. This one is about half that. 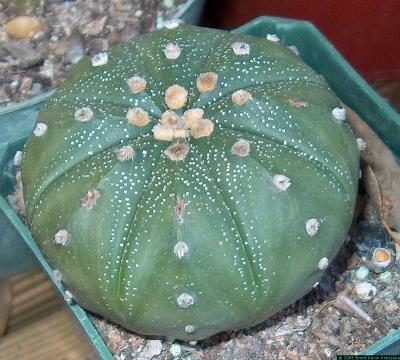 An interesting characteristic of barrel-type cactus is that if the top is damaged, for instance stepped on by a cow, it can send up multiple new heads from the top which makes it resemble a bowl full of cactus...in a larger cactus bowl. Those tops can be cut out and planted. This plant will not pup, so seeds are the only viable propagation method.